click name to email, click photo to call. Pastor: Reverend Dr. William "Bill" Hawkins began his pastorate at First Presbyterian in 2001. 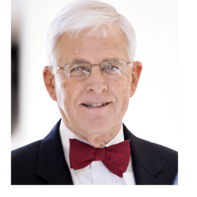 A native of Roanoke, Virginia, Bill was ordained to ministry in the Presbyterian Church (U.S.A.) in 1980. He and his wife Lori have two grown daughters. Director of Education & Youth Ministry: Daewon Goldenbaum-Yang has worked as the Director of Education & Youth Ministry since 2012. Graduate of Drew Theological School (2009), he served as a Youth & Young Adult pastor at Korean Methodist Church in Tarrytown, NY for two years before moving down to New Bern. He and his wife are busy keeping up with their daughter and son. Parish Associate Pastor: Reverend Lloyd Griffith is a graduate of Duke University and Duke Divinity School. In addition he received a Masters Degree in counseling psychology from Lesley University in Cambridge, MA and a Certificate in Spiritual Formation from Columbia Theological Seminary in Decatur, GA. He is involved with experiential learning in small groups as we explore together the re-birthing of God in our times. Administrative Coordinator: Tommy Hall has worked as the Administrator at First Presbyterian since 2007. As a Native New Bernian, Tommy and his wife Mary along with their three children have been active members of First Presbyterian for over forty years. Communications Facilitator: Cathy Wingfield began serving First Pres in the fall of 2018. She has a Bachelor of Education and a Master's Degree in technology from Appalachian State University in Boone, NC. "Cradle" Presbyterian serving as Elder in two former churches. Cathy and her husband Dale moved to New Bern in 2017. She and Dale have five kids across the country, one grandson and one very spoiled "Journey" dog. Preschool Director & Children's Worship: Kerri Wheeler has been our Preschool Director since 1999. Originally from the Detroit area, she fell in love with New Bern when she took a teaching position in North Carolina after graduating college. “Miss Kerri” also teaches our Children Worship & Wonder program on Sunday mornings. In her spare time she enjoys cooking with her hubby and spending time with her human children, Bailey and Brook and furry babies, Minnie and Big. Temporary Associate Pastor: Reverend Maren Sonstegard-Spray began her ministry at the church in January 2018, after having served for eleven years as an Associate Pastor at First Presbyterian Church in Winchester, VA. She attended Duke University for her undergraduate degree, Princeton Theological Seminary for her Master of Divinity, and will receive a Doctor of Ministry degree in the spring of 2019 from the Candler School of Theology at Emory University. She is thrilled to be back in beautiful North Carolina! Maren and her husband, Jeff, have two boys, an old Labrador, and four chickens. Administrative Secretary: Connie MacLean has worked as Secretary at First Pres since 2008. She moved to New Bern in 2002 from Annapolis, Maryland. In her free time she enjoys her grandchildren, quilting, and reading. Director of Music: Pat Kerr Rowlett The daughter of a Presbyterian minister and an organist, Pat is a graduate of St. Andrew’s Presbyterian College in Laurinburg, NC, where she was a math major and voice minor. Since 1980 she has been Director of Music at First Presbyterian Church where she administers 7 choirs - children’s, youth, adult, and handbell. For 36 years she has been Co-director of the Craven Messiah Chorus and Artistic Director of Pro Musica of New Bern. She has also appeared in many theatrical presentations in New Bern as well as soloist for Messiah and various community musical events. She and her husband Pete have lived in New Bern since 1978, and enjoy gardening and sailing. Director Resurrection Singers: Susan Mabie has been serving in the Music Ministry of First Pres since the fall of 1997. She has a bachelor of music education degree from James Madison University in Harrisonburg, VA. She and her husband Stephen have one married daughter, and two precious grand kids. How to find us on the map.